Cloud computing is everywhere. From business networks to social services to the burgeoning IoT market, this former tech outlier is the now the go-to option for companies looking to compete on a global scale, secure networks and boost IT agility. The rapid rise of the cloud also has a secondary effect: Missing skills. As noted by Computing, 70 percent of organizations surveyed said they’re struggling to find technical cloud skills, even as the job market (and salary expectations) for cloud specialists grows. The result? For IT job seekers it’s easy to focus on the cloud and overlook its critical foundation: Virtualization. Even as the need for niche cloud skills expands, prospective job seekers are well-served by taking the time to learn more about the virtual building blocks that underpin effective cloud deployments. Cloud and virtualization management are often used interchangeably, but virtualization came first — and is essential to the cloud. Put simply, virtualization leverages logical separation to create “virtual” instances of software or hardware. This may take the form of OS virtualization, which allows hardware to run multiple operating systems simultaneously, or the creation of virtual servers on a larger server stack, allowing each one to operate independently and according to rules defined by their virtualized instance and managed by a hypervisor. What does this mean for IT job seekers looking to make their mark as cloud skills are in short supply? It’s worth learning more about virtualization. Here’s why. Beyond the critical underpinnings of virtualization deployment and management in the cloud, companies are now looking to stretch their IT investments as far as possible. With skilled experts difficult to find and networks becoming rapidly more complex thanks to connected devices and user experience demands, companies need generalists capable of handling any problem that comes their way. IT staff with deep knowledge of virtualization including how to create virtual instances, manage them at large scale and handle any problems are now highly sought-after because they provide end-to-end IT coverage. Generalists now offer organizations the best value for their money, while staff skilled in virtualization management, open source tools, and virtualized security will always be in-demand. What does the current market look like for skilled virtualization professionals? Jobs sites turn up listings for Data Center Engineers, Virtualization Administrators, Virtualization Engineers, and Virtualization Analysts, along with a host of IT positions for both front-line staff and mid-career professionals looking to jumpstart their technology careers. And because virtualization underpins any cloud computing deployment, expertise in this area often affords IT pros the ability to design and implement the cloud environment they want to see in their organization rather than simply having this tasked farmed out to third-party providers. If companies do choose an existing public or private cloud model, meanwhile, virtualization experts have the depth of experience and expertise to recognize poor design and help C-suites avoid overspend on services that aren’t worth the cost. Given the complex nature of virtualization — the creation of virtual machines in the cloud environment, ensuring hardware configuration meets software requirements, configuring storage and delivering high availability clusters — it’s easy for IT professionals interested in this discipline to become quickly overwhelmed. The sheer amount of reading the material, evolving deployment models and emerging security concerns make it challenging to find the right balance between learning valuable skills and getting bogged down in the details. Best bet? Aim for a certification such as VMWare’s VCP, one of the best-known and well-respected certifications in the field. Not only does certification ensure you’re on the right track to developing highly useful virtualization management skills — VCP quantifies those skills and lets prospective employers know that you have both the determination and talent to back up your passion for IT. And there’s no reason to go it alone — training like Cybrary’s free Virtualization Management course breaks down critical VM concepts into easily-digestible modules you can tackle at your own pace and help prepare you for certification exams. 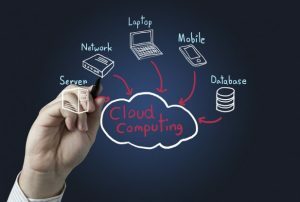 Cloud computing continues to dominate corporate IT interest. Go deeper than learning cloud basics — discover the power of cloud building blocks with virtualization management, then get the training and certification you need to stand out from the crowd.